Anyone have a clue what might trigger an error like this? Same here and no support of help. woohoo. Do u have fix the Problem? No, I haven’t fixed it. Sorry. I didn’t ask for help at elektron because w8 is not on the Overbridge compatibility list. is an older version installed? If yes uninstall, reboot and try again with the new version. On OSX issues with the installer occured when an older version was installed. Maybe this translates on Windows as well. 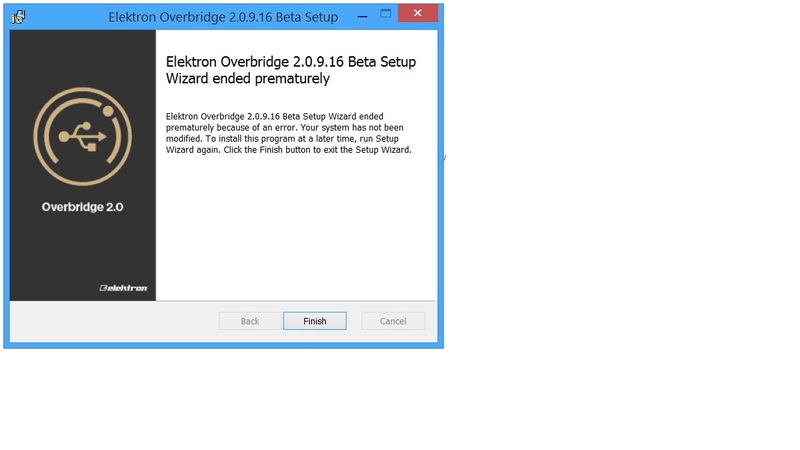 There is a procedure to get Overbridge BETA running under Windows 7. I’ll guess it may work on Windows 8, too.